The page you are currently viewing is an archive page. While you can leave answers for any questions shown below, please ask new questions at one of the pages linked to above. 4 Can you identify this strange bug? 5 Why is some skin immune from sunburn? 18 frequency / function generator? Buying one? 22 Angle of reflection for light. Can you identify this strange bug? Hi, I live in New England and I have encountered this strange bug a few times. It can fly, and when you squish it smells strongly of apple. 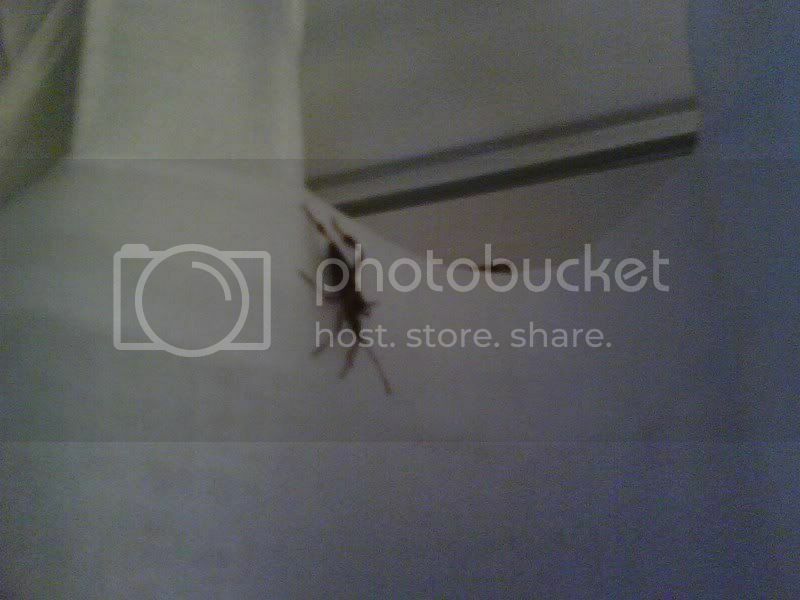 Here is picture of the bug, it is not my picture but the bug is exactly like this: http://i50.photobucket.com/albums/f305/Parkram412/bug.jpg If you can identify this bug, I would greatly appreciate it. Thank you. Why is some skin immune from sunburn? They do burn. It's just they're not exposed to much sunlight. Feet are usually in shoes/socks. Even when tanning, feet sometimes end up in sandles, or you end up playing around with the sand with your feet. Plus, your soles lie verticle when you lie down, not horizontal. People rarely tan with their sole facing up directly to the sun. Same goes for palms. Natural position for a human hand is with the fingers slightly curled in. It takes conscience though to straighten your fingers to fully expose your palms, which people don't do when they are trying to get a tan. How long does diesel fuel last? Say I want to bury a 50,000 gallon diesel tank and be set for life, will the fuel keep? Are there any hydrocarbon fuels that won't deteriorate over several decades? Actually, the economics angle is where I'm comming from, for two reasons. First, I've heard that alternative energy (wind, solar and associated batteries and electronics) might cost more than just a big diesel tank for generators and vehicles. And second, the rising fuel costs, as you mention. It's a moot point however if diesel deteriorates too quickly. I would include a simple nitrogen purging system and want the fuel to last for 40 - 100 years. Appropopos another recent discussion here, see our pseudomonas aeruginosa article for another threat to your (hypothetical) diesel hoard. What is the most effective firearm for self protection? My application is for protecting a razorwire fenced compound from hoards of starving attackers after a nuclear holocaust or similar event. I'm only interested in weapons that are currnetly leagal in the US (I'm not one of thoes wackos that's into illegal weapons). If you have to ask this question, you probably are not the type of person who should be owning a weapon yet. Attend a firearms safety class offered by the NRA and ask your instructor about your specific needs. If you have to ask this question, you probably are not the type of person who should be owning a weapon yet -- Why, what's wrong with asking a question? The US guarentees people the right to own weapons to protect thier liberty (in a well regulated militia). I know that in some civilized circles this is viewed as barbaric and is seen as not needed because civilization has (supposedly) moved past this point. However, a thousand years from now people will still be killing each other and taking their stuff. The most healthy societies will be the ones that still allow people to defend their liberty. I certianly am the type of person who should own a weapon - because I ask questions, have never intentionally harmed another human being, and I'm interested in self defense and liberty, not power. But this is a digression, and you haven't tried to answered the question. Thats right, you shoot that nuke with your shotgun, that'll sort everyones problems. -- Huh? what? Oh Pleeese, this times a hundred. Germany and scandanavian countries have the exact same problems as we do, that of defending their liberty. And it has nothing to do with crime, I have no idea why you added that into the mix. You might do better to just take Dr. Stephen Falken's strategy in WarGames: Move really close to a primary target so you don't have to worry about living in the aftermath. I'm pretty sure it works for me located where I am. Many people accet this for themselves, would you accept it for your children though, or would you try a little harder? Yes, I'm planning to use surplus shipping containiers and bury them, still need self defense mesures though. Theyd rebuild cities in the hope -- Oh sure, everything would be just Hunky Dory. If you are by yourself, I think you need much more in the way of passive defence. No gun on the face of the planet can save you if you can get flanked and over run and no amount of wire fence and barbed wire will stop a truck ploughing through it. I'd recommend an electric fence surrounded by a brick or concrete wall topped with barbed wire surrounded by a decent moat with a bunker on a steep elevated position in the middle. I was indeed thinking of galleys and figured that an oar is a much less efficient way to use a human body's enery than pedals are. But if propellers are less efficient at low speeds (never heard of that), that is a problem. Also, galleys went fast, but only for a short timespan, not quite enough to cross the Mediterranean or even an ocean. And the cruise ship idea was a bit wacko. But what I was thinking about is a lightweight boat that is big enough to be seaworthy and has only basic amenities - just the engine room and sleeping bunks. Of course sails make sense, but they shouldn't require a professional crew. The idea is to make a very cheap passage for budget travellers to places that are expensive to fly to. Robert's cadence link doesn't say how fast it goes, but something similar for 100 people would be much more efficient and therefore faster. There would be enough budget travellers interrested in this, priovided it doesn't take too long. Say one week to cross the Atlantic. West Africa to Brazil is about 3500 km, so that would require a speed of 20 km/h or 10 knots. Given the answers above, that would be pushing it. And more than one week of constant cycling would be too much even for most budget travellers. So the idea is pretty much out the window, I suppose. Hehe, reminds me of a perhaps well-known story. An astronomer, a physicist and a mathematician were holidaying in Scotland. Glancing from a train window, they observed a black sheep in the middle of a field. "How interesting," observed the astronomer, "all Scottish sheep are black!" To which the physicist responded, "No, no! Some Scottish sheep are black!" The mathematician gazed heavenward in supplication, and then intoned, "In Scotland there exists at least one field, containing at least one sheep, at least one side of which is black." The black and white colouration and pattern (black front, white back-end) is characteristic of the rare Bagot and Welsh Black-necked breeds of goat but in all the pictures I've seen these breeds never have such a luxurious coat as the one pictured. It may be a cross breed but it is certainly not pure angora = for starters the coat texture is wrong (angoras have slightly curled, dredlock apperence to their coat, every angora I have ever seen is an off-white colour (except for crosses) and the horns are different too. Cashmere goats are of no particular breed but are more a type. This goat may be a cashmere but that is not it's breed. I think it is a cross between another breed and a welsh black-neck or bagot becaue the colour pattern is so distinct. Hope this helps! It is a very cool looking goat anyway whatever it is! I think you'll also find that a circular piston sweeps the largest cylinder volume with the least contact area around the skirt (and rings) of the piston. So from the point of view of minimising sliding friction, the circular piston is the winner. The same also holds true for the heat loss from the combusting gases. The cylindrical "cylinder" has the least amount of wall surface area to drain heat from the combusting gases. This also raises the efficiency of the engine. Heat loss from their narrow, high-surface-area combustion chambers is one of the reasons why Wankel engines aren't very efficient. Engines often have specific oil jets aimed at the bottoms of the piston (in order to remove heat from the pistons). Me, I'm looking forward to ceramic adiabatic engines with no cooling systems. It ought to be very cool to see these glowing when you raise the bonnet. With regard to tyre pressure: Take care that you don't wear out the center of the tyre tread abnormally early. Excess inflation (for a given weight load in the car) tends to make the center of the tread bulge, leading it to ear out first. For the same reason, over-inflation may reduce the tyre's traction (grip) somewhat. But it's certainly good for mileage. Also, my handbook (Ford) doesnt seem to say much about RPM: just gives the recommended speed ranges in each gear. I know the engine idles about 900 RPM nad I can get it to go without acceleerating at 1500 RPM in top gear. You've seen Fuel economy in automobiles and Fuel efficient driving, right? Slowly accelerate, don't floor it. Rather than braking, try to time traffic lights and let the car decelerate so you don't get to the light until it's green. In heavy traffic, leave enough room in front so you don't have to brake every time the car in front brakes. This might result in people cutting in front of you, so you need to have an easygoing temper to do this. For the majority of Americans, the main cause of fuel consumption is always MASS. In short, the main cause of high rate of fuel consumption is Mass times Acceleration times Speed. No, just that it enters the blood and is often found fatal in burn patients. I don't think it's pseudomonas though, my text book says that occurs in the ear and can be treated with ear drops. I suggested Pseudomonas because, in the book 365 Days (by Ronald J. Glasser, an American military doctor writing about his tour of duty in Viet Nam), that was the opportunistic infection that seemed to mark the end for many of the doctor's patient soldiers. In my science class we are expected to creat a proposal for a science project with a controll and 2 variables. I already have that but on the paper it asks for Research in the following way which I do not understand. MLA is just the style or format that you write your paper in. Once in a while, you'll also find that the chain has gotten "stiff" and so individual links don't "hinge" smoothly. This produces symptoms that partially mimic a badly adjusted derailler but it's easy to confirm or deny this diagnosis: Just see if the entire chain flexes smoothly. frequency / function generator? Buying one? Be sure you understand what specs are important to you as well. If you're going to be doing testing and repair of audio equipment, you don't need frequencies above (say) 100 KHz, but you probably do want a nice, clean low distortion sine wave and you may very well want a square-wave output as well. If you're going to be doing radio frequency work, you'll want whatever carrier frequencies and modulation schemes you'll be using. With either, you'll also need to decide if you need swept-frequency capability, remote (computer) control, and all the fancier bells-and-whistles. Once you've settled on what you really need, your choices will be more-clear. Ever considered building one? THe MAX 038  function generator chip goes to 20MHz, sine, sqaure, trangle etc and you dont need many external components (just some timing Cs a nd a pot or two). A real gem of a chip from MAXIM. (or so it appears from the data sheet). Googling will get you the data sheet plus application notes. If we assume that the phase diagram here is correct, then at pressures rather lower than we're used to you can find water ice subliming directly into water vapor and vice-versa. Angle of reflection for light. A beam of light is emitted in a pool of water from a depth of 65.0cm. How far away, relative to the spot directly above it, must it strike the air-water interface in order that the light does not exit the water? I am really confused on this problem. I've started it by using the equation nsin(theta) = nsin(r). I know that the index of refraction for water is 1.33 and air is about 1. But I don't know where to go from there? I'd appreciate any help. This page was last edited on 8 October 2009, at 13:35 (UTC).